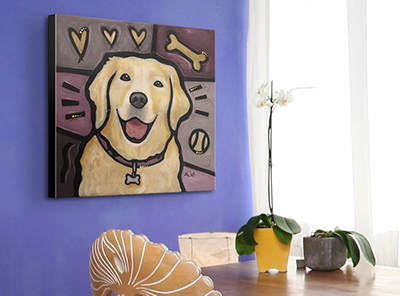 Pop art and your favorite furry friends are the perfect combination. The Pop Art Dogs Collection includes dogs of all breeds showcased in iconic pop art style, making them more adorable than ever before. Each piece in the Pop Art Dogs Collection was handpicked by a team of curators who are dedicated to finding only the most unique, high quality pieces for your space. 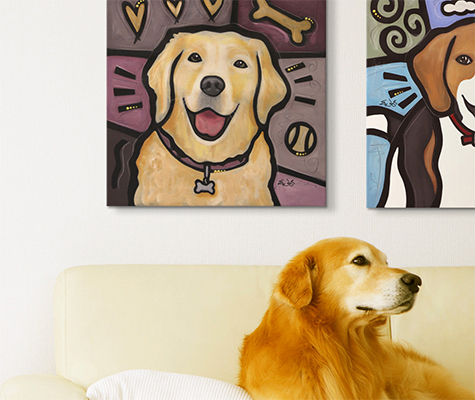 Find a pop art masterpiece featuring your favorite hound in this collection to decorate the walls of your home. And if that’s not enough, you’ll also find desktop canvases that look great on any surface in your home.